Your liver plays a critical role in your health, helping you digest food, everything you eat and drink, and eliminate harmful substances from your body. The liver is the second largest organ in the body (after the skin) and is located in the upper right abdomen under the ribs and below the diaphragm. It performs a myriad of functions. For example, your liver also helps you manage your energy by regulating blood sugar levels, storing and releasing blood sugar, assimilate nutrients, especially fats and important vitamins like A, B12, and D, synthesize amino acids and contribute to bone and muscle growth. Your liver also produces bile, which breaks down fats so they can be absorbed, and carries wastes out in the stool. The liver performs over 500 functions in your body. The excessive burden of toxins and stress can take a toll, impacting its ability to function optimally. When the liver is depleted, it becomes sluggish, allowing toxins to buildup in your body, which contributes to chronic inflammation and the depletion of your nutrient reserves. Pro-actively supporting your liver with a detoxification can help keep your liver vital and healthy. Just as you perform annual maintenance on your car and your home, taking time each spring to let your liver rest, repair and heal can help keep it in top condition. A liver detox typically involves modifying your diet to avoid foods that are harder for the liver to process. This gives your digestive system and your liver a break and allow it time to rest and heal. When you reduce the incoming toxic load, it allows the liver to catch up on the backlog of toxins. Essential oils can be powerful tools to open your detoxification pathways and detox the liver as well as strengthen, stimulate, and regenerate your liver. Excessive Fatigue. Fatigue is a common when the liver is under stress as the liver is responsible for managing blood sugar which support your energy levels and combat fatigue. A stressed liver may become less efficient at regulating your blood sugar leaving to fatigue and sugar cravings. Read more HERE. Hormone Imbalances or PMS. The liver detoxifies your hormones, including excess estrogen. When liver function is impaired, excess estrogen may not be eliminated and can be reabsorbed resulting in symptoms like PMS, breast tenderness, excessive bleeding, moodiness or weight gain. Read More about Estrogen Dominance HERE. Bloating and Gas. When bile flow is compromised, dysbiosis can set in, where unfriendly flora dominate, leading to constipation where toxins are not eliminated further contributing to an imbalance of gut flora, gas and bloating. High Levels of Heavy Metals. When the liver’s detoxification pathways are impaired, heavy metals can accumulate in the body. In particular, the liver’s stores of glutathione, which safely and effectively binds to toxins and metals, can be depleted. Read more about this HERE. Chemical sensitivities and allergies. Your liver breaks down excess histamine. If your liver is sluggish, histamine is not properly broken down and can build up in your body contributing to symptoms like a heightened sensitivity to smells, chemicals and foods. Read more HERE. Research shows that individuals with impaired bile flow, present with significantly greater than normal levels of histamine in their blood work. Itchy Skin – When your liver is impaired, it compromises optimal bile flow. Bile can then get pushed out through and deposited on your skin contributing to itchiness. Bruising and bleeding – You may bruise more easily because the liver can no longer produce enough proteins that are needed to clot the blood after an injury. The liver actually produces several clotting factors, all of which begin to disappear when the liver is damaged. Swelling – When the liver isn’t able to do its job, people may start to retain water in their abdomens and legs, causing swelling. Poor Sleep. Poor liver function can contribute to night waking. Sleep disturbances have long been observed in chronic liver conditions, and one mechanism may be impaired hepatic melatonin metabolism. Read more HERE. During the night, your liver is busy rebuilding the body and cleansing it of accumulated toxins. Your liver is most active between 1 – 3 AM, often peaking at 3 AM. When you wake at this time, but are still groggy enough to fall back to sleep, it is often a signal that the Liver or Gall Bladder are overloaded and could use a little support. Read More about Staying Asleep with Essential Oils HERE. Essential oils can be powerful agents to assist the body in ridding itself of toxins. Specific blends can be used to enhance, accelerate and support your body and your organs, especially your liver, your gall bladder and your lymphatic system in the detoxification process. Because essential oils work on many levels, as physical toxins are removed; negative thoughts and emotions are also released. It is strongly recommended that essential oils be paired with high quality, organic fruits and vegetables, liver supporting supplements like milk thistle and dandelion root and binders like chlorella or charcoal for optimal effectiveness. Read More about Binders HERE. The following essential oils can used to support your liver, especially when digestive channels are compromised. Liver™ helps support optimal health and vitality of the liver. Formulated with oils that help stimulate, strengthen, and tone the liver, including German Chamomile, which stimulates bile secretions and supports liver detox, Ylang Ylang, which helps detoxify your nervous and digestive systems and Peppermint, which helps you detoxify through your respiratory and digestive systems. This is a great blend to support any kind of digestive repair effort that would release extra toxins (like yeast die off), a detox cleanse or for anyone who demonstrates liver stress symptoms like sensitivity to smells (smoke, perfume, etc.) and or chemicals or those who are easily intoxicated or hung over. Apply Liver™ directly over the liver (right side beneath the breast) 2-3 times daily. You can also combine Liver™ blend with castor oil – just add 3 drops of Liver™ to 1 tsp of castor oil and rub it over the liver before bed. Castor oil is notoriously messy, so you can either: (1) cover it with a piece of flannel and plastic wrap and apply heat from a hot water bottle (avoid the electricity of heating pads) for 20-30 minutes, (2) wear a ratty t-shirt and let your body eat work it’s magic (3) climb into an Epsom salt bath with the castor oil and Liver™ oil and benefit from layering 3 healing strategies at the same time. 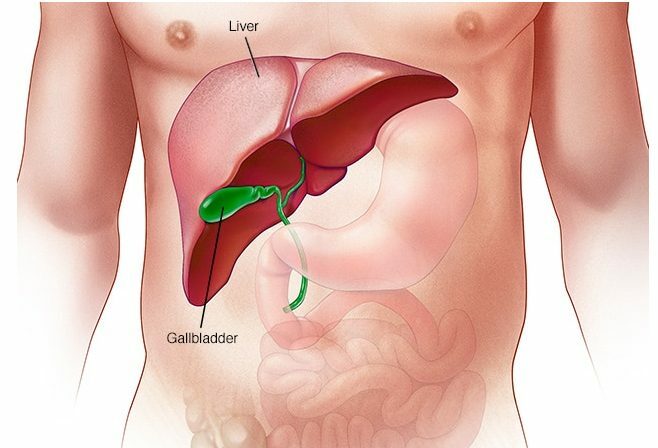 The gallbladder is responsible for storing, releasing, and concentrating bile, a fluid produced in the liver that helps our body break down fat as well as carry toxins and old hormones out of the body. When our bile becomes too viscous, it doesn’t flow as well and toxins (especially estrogen) don’t move out of the system and often get reabsorbed. This can be caused by a very low fat diet, too much toxicity in the body, estrogen dominance, or chronic stress. Supporting healthy bile flow, helps support digestive function and balance your gut flora, as bile acids are antimicrobial. The liver eliminates toxins and their metabolites into the bile, and out of the body via the stool. If bile is not properly flowing, toxins are not eliminated from the body. The gallbladder is also another organ that holds onto negative emotions like resentment, anger, bitterness, and hate. Some indicators that the Gall Bladder blend might be a helpful blend for you would be motion sickness, floating stools, avoiding fatty food like meat or if you do eating fatty food, needing to use the restroom shortly after, pain between shoulder blades, subtle headache above eyes. For more ways to support the gall bladder, read this article. To support the optimal flow of bile and allow toxins to flow out of the body, apply 2-3 drops of Gall Bladder™ underneath the ribs at the gall bladder (right side, underneath the ribs. If you lean forward, it is easier to apply under the ribs). 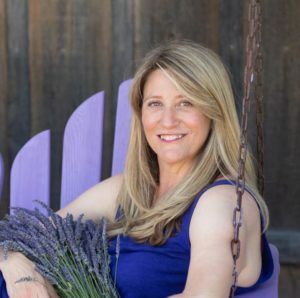 It is important that these emotions are allowed to be processed and released to avoid causing additional stress that would undermine the detoxification process and essential oils make excellent tools to help gentle release and detoxify emotions. For example, our key organ of detoxification, the Liver, holds onto traumatic experiences and negative emotions, like anger, impatience, resentment and frustration creating emotional blocks cause the liver to become sluggish. Processing and releasing these negative emotions are an important step in opening the drainage pathways. Learn more about importance of processing unresolved emotions HERE. There are 2 states of the nervous system: The Fight or Flight Sympathetic State and the Rest and Digest Parasympathetic State. In order for the body to detoxify and heal, it needs to be in the rest and digest parasympathetic state. You literally cannot detoxify when you are under stress. Parasympathetic™ blend also helps you support Glutathione Levels. Your liver’s ability to transform toxic molecules into less toxic ones, and then help your body excrete them, depends many enzymes and molecules, including glutathione. Research also shows that the limonene found in citrus essential oils, like Lime in the Parasympathetic blend, can stimulate the production of glutathione. Unfortunately, most nutritional supplements of glutathione are not absorbed well and do not raise glutathione levels within the cells, so Lime oil’s ability to help stimulate the production of glutathione inside the cells contributes to the Parasympathetic™ blend’s ability to prevent or reduce systemic inflammation in the gut and the brain. Another key stressor and toxin creator is an impaired digestive system. If you are not absorbing and assimilating your nutrients, it puts another stress on the body and the undigested food particles add to the toxic burden. To ensure optimal digestion, you can apply the Parasympathetic™ blend to the vagal nerve (behind the earlobe on the mastoid bone) before meals to stimulate the parasympathetic nervous system “rest and digest” state to promote optimal digestion, absorption and assimilation of the nutrients necessary to help the body heal and put it in optimal balance. Supporting the health of the intestinal lining, normal gut motility and the growth of friendly gut flora can all help improve your liver function. Your intestines are critical for both physical breaking down our food, so we can digest, absorb and assimilate the nutrients and also eliminating the waste. Regular and healthy bowel movements are a critical pathway for the toxins to leave the body. Poor waste elimination is often correlated with toxins being reabsorbed into the body, often known as re-toxification. Applying 1 drop of Parasympathetic™ behind the earlobe on the mastoid bone can support digestive motility and trigger bowel movements critical to the elimination pathway. The intestines also play an important role in our detoxification and immune health, providing a physical barrier to stop viruses, bacteria, fungus, yeast, parasites and other pathogens or toxins from entering the body and maintaining a balance of “good” bacteria that assist in the detoxification of toxins and the maintenance of a balanced gut environment. Normal detoxification during digestion depends on the integrity of the GI membrane and the maintenance of the precise bacterial and chemical environment. An imbalance in the intestinal flora and injury to intestinal walls, can allow undigested food and other contaminants can leak into the bloodstream. Intestinal Mucosa™ protects the cells and nourishes “good” bacterial flora which in turn feeds the lining of the small intestine keeping it robust, healthy and able to support the final steps of digestion, allowing only appropriately digested food particles to be absorbed. To help maintain the healthy balance of gut flora and neutralize toxins, apply 2 -3 drops of Intestinal Mucosa™ in a clockwise circle around the belly button.